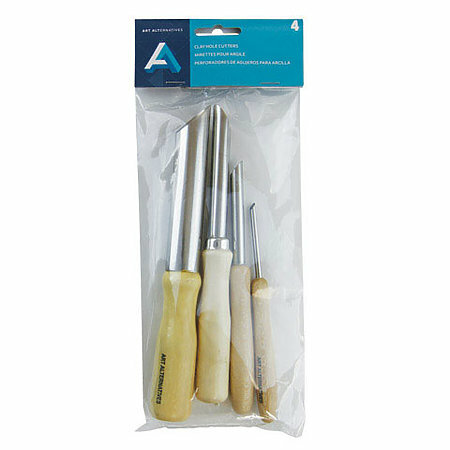 Use these punch tools to cut clean holes in clay and other modeling materials. It is made of sharpened brass set in hardwood handles. The set of four includes 1/8", 1/3", 1/2" and 7/8" diameters.